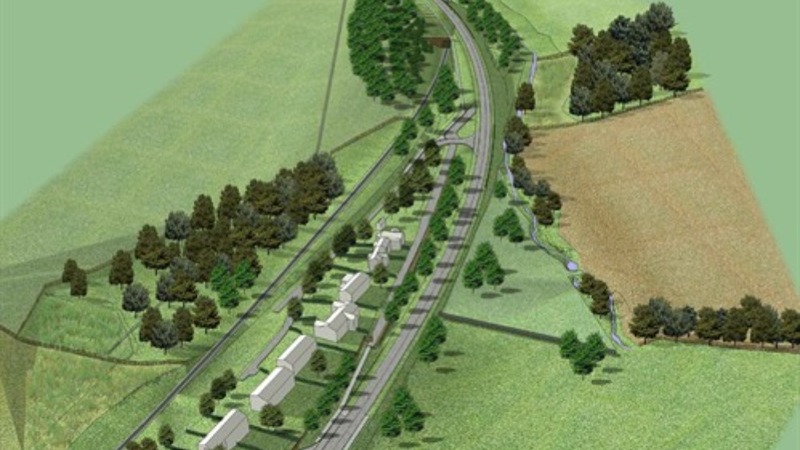 Network Rail has submitted an alternative planning application to the Scottish Borders Council for a bridge to be built at Falahill - where the Borders Railway will need to pass under the A7. The location of a classic shot by Derek Cross in the 1960s, the Waverley Route solum runs south towards Falahill Summit, rejoining the A7 road corridor after its wide sweep eastwards from Gorebridge to Tynehead to minimise the gradient to the summit. Seen here on 26th October, looking north over a stretch of 1 in 100 gradient.